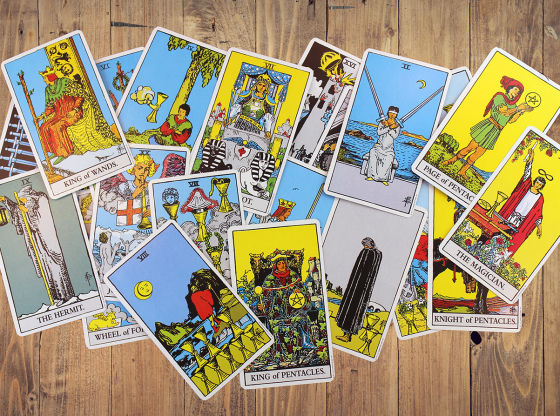 How Does Divination with Tarot Work? Home /Tarot/How Does Divination with Tarot Work? Have you ever gotten a reading, or pulled cards for yourself, and gotten chills because the cards were so spot on? Or perhaps you’ve been stuck in your life and found that working with cards daily for a few weeks really moved you through a tough time. Most of us who come to Tarot, whether as readers, students, clients, or curious dabblers, have felt the uncanny power of this divination tool. This power is why we stay, learn, and grow with Tarot. 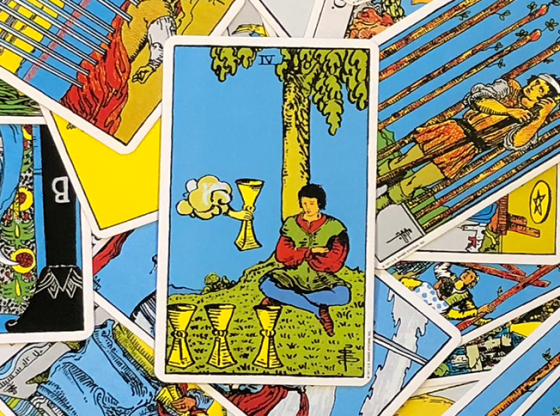 Though the Tarot evolved from ancient gaming cards, there is no denying that the images and archetypal meanings hold a rich power and ability to help us access our higher self and channel guidance from spirit guides. 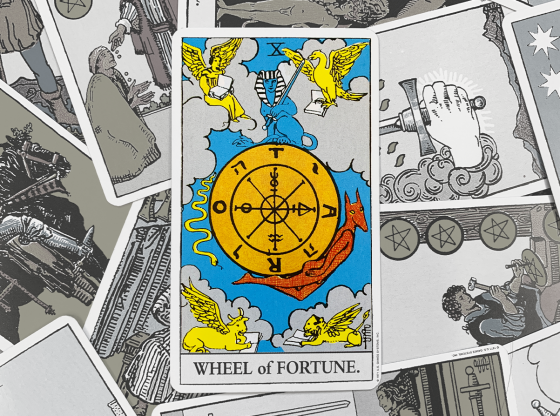 But how do Tarot cards actually work? Tarot is an ancient system that uses 78 cards divided into the Major and Minor Arcana. The Major Arcana consist of 22 cards representing archetypal symbols of the human journey, also named the “process of individuation” by Carl Jung. The 56 remaining cards are divided into four suits: Wands, Cups, Swords, and Disks (or Pentacles). They will look familiar as they are the forerunner to modern playing cards. 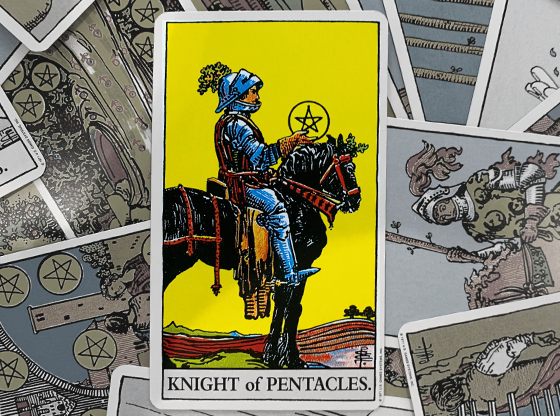 Tarot cards drew their imagery from myth, mystery plays, and other medieval sources that were potent with meaning and easily recognizable. Astrological and Kabbalistic correspondences were added in the 19th and 20th centuries. Though today you can find decks that seem to have little to do with the original Tarot, most do rely on a root symbolic meaning for each card. It is then up to the diviner to access their intuition to put their own spin on the cards. 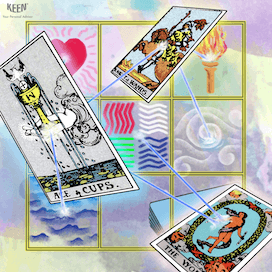 This is the individual art of the Tarot, which does require practice and experimentation. 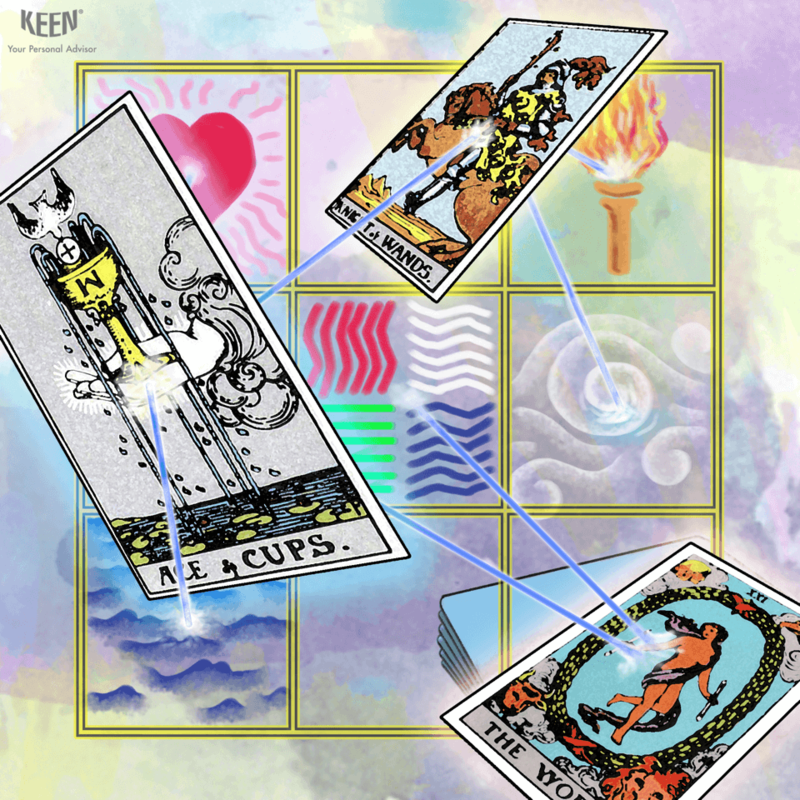 In readings, the Major Arcana show up for important issues or placements within a spread. They show how the archetypal forces play out within our lives. 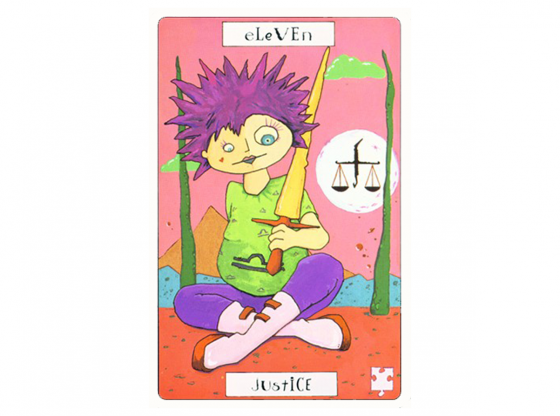 The Minor Arcana point to everyday issues. The court cards of each suit represent people, or, more often, personality traits within ourselves that are being called out for development. 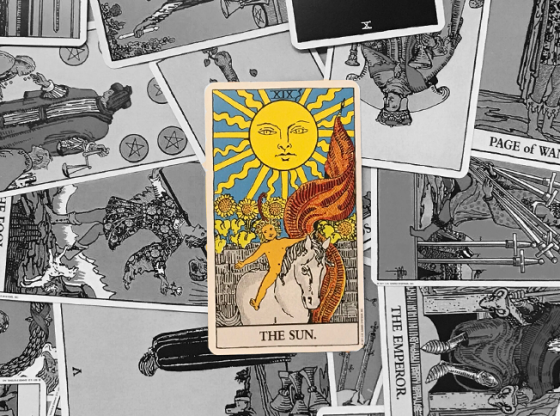 As a tool for divination, the Tarot draws upon the symbols to stimulate the subconscious mind of the reader. It tends to activate the right brain and call forth intuition. Worked with daily, the Tarot is also a tool for personal storytelling and growth. Psychic ability and intuition are often seen as “supernatural.” However, anyone can develop psychic abilities since we all have access to intuition. 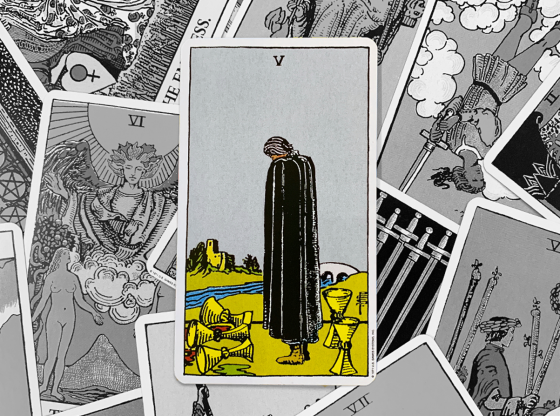 Therefore, anyone can read Tarot cards! My client Riah was skeptical about the Tarot. How could a system that relied upon learned interpretations be an actual “psychic” tool? 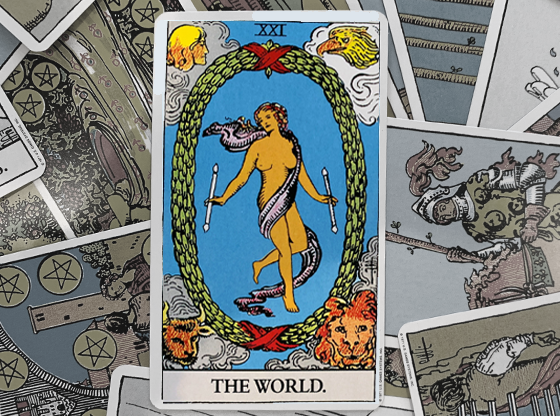 The art of Tarot, I explained, is synthesizing the root meanings with one’s own intuition or psychic ability, and applying that meaning to the situation at hand. Riah did this exercise for a month. In her scientific zeal, she was out to prove that Tarot cards were just random, subjectively-interpreted images at best. She was surprised to find that patterns and wisdom began to emerge, just from pulling one card in the morning and observing it throughout the day. Riah found that though she shuffled the deck well each time, there were three cards that turned up often, and they directly related to difficulties she was having with her mother. Other cards predicted actual events in her daily life! Of course, there were also times when the card didn’t seem to have much impact at all. More importantly, she was open, and played with different interpretations, finding that her own ideas about certain cards were more meaningful than the classic ones. She realized that as she played with the cards with no real expectations, she could open her mind and let her own intuition come through in a way that improved her life. 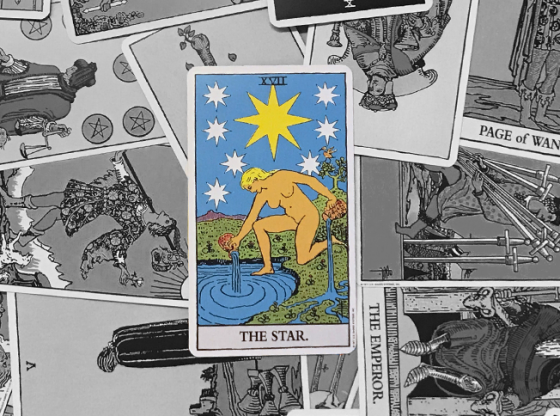 The truth about how Tarot works is debated. We often see what we want within the cards, just as we do in life. Modern research tells us that the brain creates what it expects to see, but we don’t need science to show us that! We know this just from living life. However, if you are going to work with Tarot or any other system of divination, it is important to accept that there is wisdom beyond your conscious knowing. Whether you think that wisdom comes from your subconscious, the collective unconscious, God, your guides, or your higher self doesn’t matter. The truth of the Tarot will reveal itself to you if you work with it over time. You may even find yourself creating your own deck! There are definitely times to avoid pulling cards for yourself, when it’s best to have an objective reading. 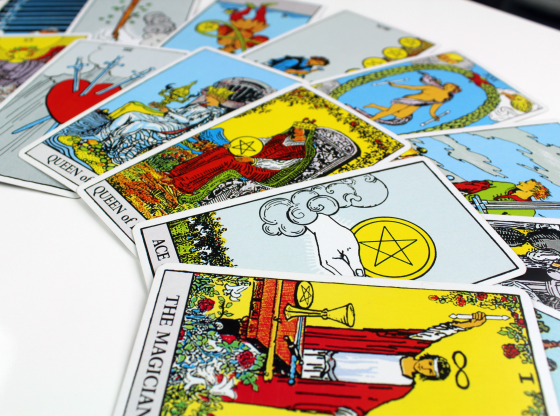 If you are curious to see the magic of the Tarot at work, why not call a Keen advisor today?